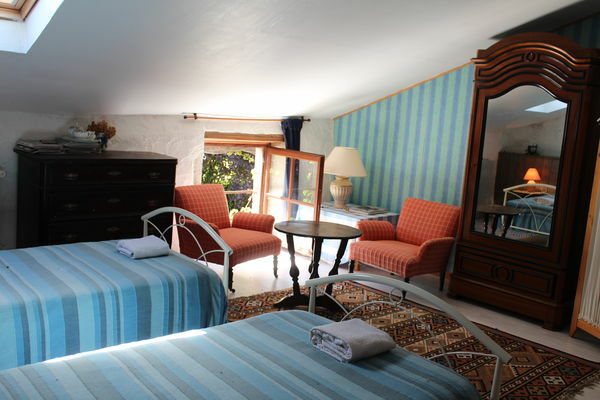 "La Vallée des Cerfs" offers three rooms for eight people. You can visit the farm and its animals: deer, horses, donkeys, cows, llamas and sheep, and enjoy a ride on a horse or pony or in a carriage during your stay. That little extra something: set meals by prior reservation, and you can participate in caring for the animals on request. There is no review about La Vallée Des Cerfs, be the first to leave one !